1. Print out the multisized pattern. The collar is missing but use this collar pattern instead. AT 100%, NO PAGE SCALING! Find a wide flat space to spread out. It must be a space of at least 4.5'x4'. Match the fine vertical lines together so that the papers overlap on each long side. There's no fine lines on the tops and bottoms so just overlap the bottom and tops of each paper by 5/8th. I also had to extend piece 31 by 6.5 inches because the piece that is missing the collar is also missing the bottom of piece 31. I added the extra inches by taping two pieces of paper at the bottom and measuring 7" down and made a mark. I then overlapped the papers by .5" in top and drew in the rest of the pattern. 3. Tape together. I used packing tape. It's nice and wide. I found it was easiest to tape the horizontal rows first then tape the rows together. I know working with a printable PDF file seems super inconvenient but I actually PREFER them to storebought patterns. If you ever want to use the PDF pattern again just print out the piece you need. Storebought tissue patterns are always getting ripped or wrinkled or lost. Plus if you ever want to sort through your patterns, it's easier to do it on the computer rather than digging through a pile of envelopes, pulling out all the tissue sheets, finding your piece, then folding the tissue paper in just the right way to fit it back in the envelope. 4. Once you have everything taped then cut out all the pieces. I usually leave a lot of white area around my patterns when I cut them from the paper and then cut around the lines after I pin it to my fabric. 5. My material didn't arrive yet so bear with me while I use muslin. If you need to zoom in on a picture just click on it and it will take you to a larger version. For this pattern you must take your 2 yards of material and open it up. Turn it so that the edge that was cut at the store is on the left side and not the bottom. Then fold the two sides in to the middle so that you have folds on either side of your fabric. 6. Place your patterns on the fabric like so (see picture to left). Make sure than the straight edges of the patterns are on the folds of your fabric. Then cut out adding seam allowances. Take the yoke piece (the smallest of the three pieces) and cut it again on another fold (under the piece to the left) so that you have 2 pieces. 9. Cut out the button band from the fabric. It is 2.2" x37.5 - 41.3" depending on your size. 10. Cut out the belt tie: 2"x57"
11. Take the collar and sleeve material and fold it in half lenthwise then fold it in half again widthwise so that you have four layers of fabric. 12. 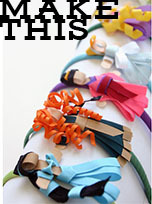 Arrange them on the fabric like so (see picture to left). Be sure that the collar's straight edge lies on the fold. And cut out adding seam allowances. Discard extra collar piece. I'm so excited. I found the perfect fabric this weekend! Even the buttons were spot on for this dress. I'll be posting my finds later in the day on my blog. Thanks so much again for doing this sew along! I would like my skirt for this dress to be full like that pic of that charcoal sleeveless shirt dress you posted a few days ago. How do I go about adjust the pattern to make that type? thanks! What kind of fabric should I be using? I've posted my fabric and button choice, but I think I'll go for the a-line skirt as well. I just realized my printer is at work so it looks like I'll be doing two steps tomorrow. 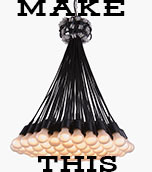 I'd love to do this with you but everytime I click on the pattern link my internet shuts down. I have tried to link to Bernina in the past from your site & the same thing always happens. ?? Confused. Help! Just send me your email address and I will send it to you. Did anyone else do a double take when she measured the pattern pieces? Maybe I printed it too large (though I'm not sure how I would have; I printed 100% no scaling) but I found the size 38 would be 41.5 inches at the waist! I scaled it down for me (35" bust). And I'm psyched for this project. Can't wait to post pics of my cloth and buttons on my blog! Which pieces do we cut out of the contrast and which pieces do we cut out of our main fabric? I am ready to print out the pattern at 100% scaling. There is a box on one of the pieces that indicates 15cm x 15cm. Is that what the box should measure when I print out the pattern? Thank you for doing this! I have not sewn a dress in years and am so excited! I've been looking at your blog all morning waiting for your post. hahah. I actually went and did a "coffee date" dress this weekend from your previous frock by friday. :) I felt like I had to catch up to the rest of you gals since I JUST found your blog. :) It was so fun making something for myself. I'm excited to start this new one too. The collar and sleeve pieces you cut out of the contrasting fabric. Also, cut out the button band from the fabric. It is 2.2" x37.5 - 41.3" depending on your size. And cut out the belt tie: 2"x57"
Kathleen are you sure this pattern comes in size 34? The instructions say sizes 36 - 44 46. There are only six sizes (34, 36, 38, 40, 42, 44, 46 = 7 sizes). I'm not sure I need a size 34, but I might. I measured myself before making the coffee date dress and thought I needed a 36, but the 32 ended up the best fit. So I might need to make this dress in a small size as well. Would it be possible to change the collar? I'd like my collar the look like the one on the white dress with the blue belt you posted a picture of. I'm sooooo excited! I have my fabric in the washing machine right now, so I'll be able to cut it out tonight! (assuming I fix the printer problems I'm having, totally unrelated to the patterns...)... PS, did everyone notice that the selfish seamstress just posted a new free pattern? can we do that next? Thank you for all of the work you out into this. I can't wait. I have everything cut out but I would love a little more substantial sleeve. Do you have any sleeve patterns you could recommend? With the last dress someone else had the same problem. I recommended layering another piece of fabric on top of the pieces. She said it worked out well. with the last dress. It is for a plus size so if you are smaller, like me, take the pattern in by 3/8” at the underarm seam for every 2 sizes and follow lines accordingly. Tape pattern together, cut out. Pin to doubled fabric and cut out of fabric. Sew hem of sleeve 1/2". Sew underarm hems together, right sides facing. If you go to the legend on Page 3 it shows what each of the lines should stand for. HOWEVER, you are right it seems to be missing a size. The weird thing is that a few of those weird squiggly lines aren't even on the pattern. So indeed one size is missing but I can't tell for sure which one it is. If you think it's going to be too big just don't add the seam allowances. Stupid Q, but is the no-scaling for the collar pattern only, or all of the dress pattern too? earlier you said that you would show how to make the seam longer. Just wanted to check if it was going to be out of the main fabric, do we cut it out now too? Wow I love this Frock by Friday idea! 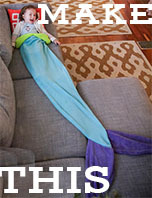 I've just found your blog via Selfish Seamstress and I'm hooked. Like you I'm a SAHM (but only 2 girls!) and spend my time sewing and dress making for the 3 of us. I love love love your creations! Thank you for your very detailed instructions. You are so very patient with us. Thanks again. Is there some sort of sizing chart that correlates to measurements? Not sure what size I would be. Thanks! I am so excited to try this. I take it this pattern comes with seam allowances? I started taping my pattern together last night, because I won't have a lot of time this week. I can't wait to begin! Also, is there a yoke on the back? It shows in the instructions, but not on the pattern? Pockets, too. Thank you so much for your tutorials and help! I'm trying to make the ivory/white colored dress with the blue belt- how do you recommend I make the collar? Thanks! oh, and the sleeve. How can I alter the sleeves? Thanks again. I'm so excited to be doing this with you, thank you so much for the opportunity. I am very new at patterns and I have a simple question. When you say to cut with seam allowance, does that mean I don't cut on the line for my size but cut it a little bit bigger? Thank you so much! Yes, you are right about the seam allowance. I included a collar pattern in the beginning of the post, use that. So if i use the fuller skirt how much yardage do i need still 2 yards? If you do the fuller skirt I would suggest getting 4 yards. You're going to end up with a lot of extra fabric but since you have to cut everything on the fold it really limits the way you can arrange the pattern. As for the prints issue, if you buy the extra yards you won't have to worry about the direction issue. You should add the seam allowances yourself. And yes, you must cut two yokes. I arranged it so that I cut a yoke at the top right of the fabric and then took the pattern and cut another yoke at the bottom left. Yes. If you would like to make your dress longer, just extend the bottom the same way you extended piece 31 in step 2, third paragraph down. But remember that you must add the yoke pieces to the top eventually so the dress will be a little longer than just the front and back pieces. You should always do 'no scaling' for patterns. To be sure you printed it correctly there is a square on the pattern that says 15cm x 15cm. Measure it to make sure it is 15cm. If it is, you printed correctly. On page 3 of the pattern there is a size chart. Just remember to convert the cm to inches. I'm guessing the third line in the sewing pattern is for size 38:) Fabric all cut and ready for tomorrow. Thanks so much for this sewalong! Hello! I just found your website and I love it! Any chance you'll be doing patterns or tutorials for the state fair dress or the social darling dress? They're gorgeous and if you have tutorials up or patterns for sale soon you can count me in! Maybe I've been watching too many Project Runway reruns, but I've been calling this dress the "Auf Wiedersehen Dress" since it's a Bernina Switzerland pattern and this dress is so cute it looks like you're going places! 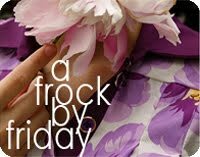 Frock by Friday #2 just wasn't a fun enough name and I thought it should be catchy like last time. should I wash the fabric b4 cutting??? I didn't washed mine and now I'm worried about it after I saw someone saying that they were washing. You think this will be a problem??? Mine printed a little goofy and caused me to overlap differently, can you provide what the total length down the fold side of the pattern will be? For the fuller skirt pattern, is there a secret to getting it to print on multiple pages vs. just one? I don't wash my fabric but then again I don't put it through the wash cycle...ever. And I especially don't put it in the dryer. I either dry clean or hand wash my homemade clothes. If you want to be able to wash your homemade clothes the same way you do your other clothes I would recommend washing your fabric beforehand. If you've already cut, just remember to wash on the gentle cycle and let air dry. Piece 32 should be 34.5" down the folded side from the largest size down. Piece 31 should be 37" from the largest size down. As for the full skirt pattern, I'm emailing burdastyle about it. Usually they have two separate links. One to print from home, one to print from copy shop. It looks like that pdf is to print from a copy shop. It's 40 pages all together so would you like me to just send you the pages with the skirt piece? Hi! I have a problem... When I tried to print the pattern, the test square (15cm) measures 14 cm... Would you have an idea of what I could do? I have the same problem- when I print, it doesn't print the correct scale. The 15x15cm box is measuring 13x13cm...any ideas on how to make it print correctly? Printing problem solved... You go in "File" and "Page setup" and you play a bit with the %. I guess that's not the perfect way but it worked fpr me... 15 became 15! Why is it that we turn the fabric and put the edges into the center and then put the pieces on the fold. Why do we just not make a fold and cut? Thanks for your help. I did that to reduce the amount of fabric you have to buy. You can fold it down the middle if you'd like but you will have to buy about two more yards of fabric. Yaay!!! I'm so excited! Thank you so much for doing this - all the work you put into it does not go unnoticed! One question - I have everything all cut out except for my button placket. I'm not sure how to know which length I need it to be. A tip would be much appreciated! I just printed out my pattern and realized that this pattern is formatted for A4 paper size. (It's the standard paper size for most countries outside the US and is basically around three quarters of an inch longer.) If your printer is like mine it will center the page vertically so the guide lines on the top and bottom will lie just outside the printable area on the paper and won't appear on the printed pattern. So this all means that instead of overlapping your pattern pieces three eighths of an inch on the top and bottom, they should overlap about an eighth of an inch. If you have already cut your fabric, don't worry too much, it shouldn't make too much of an effect on the side seams, but you will need to lower the underarm seam on the back piece. Hello! Way behind the trend, but could you please email me the collar pattern as well? Thanks so much!